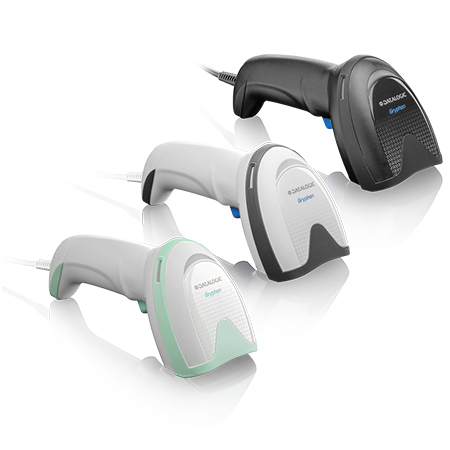 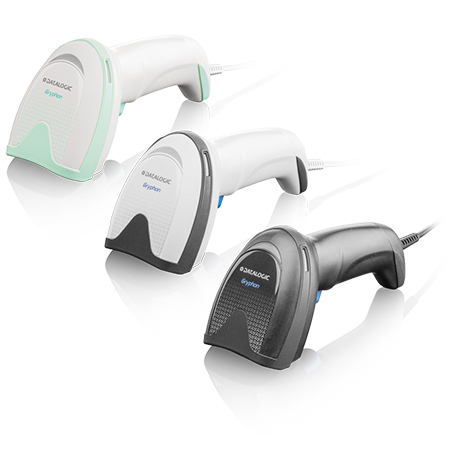 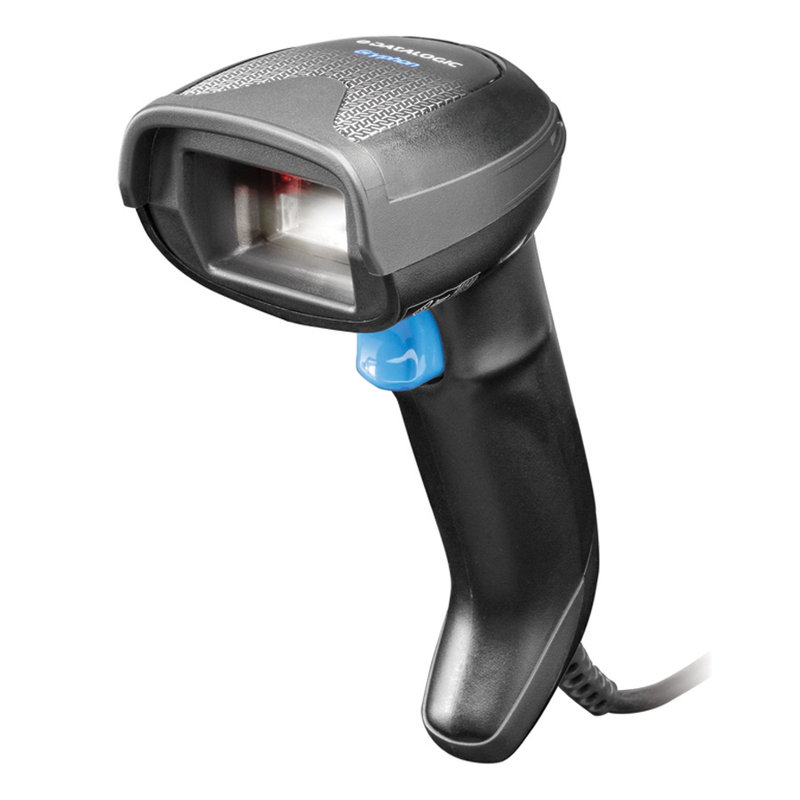 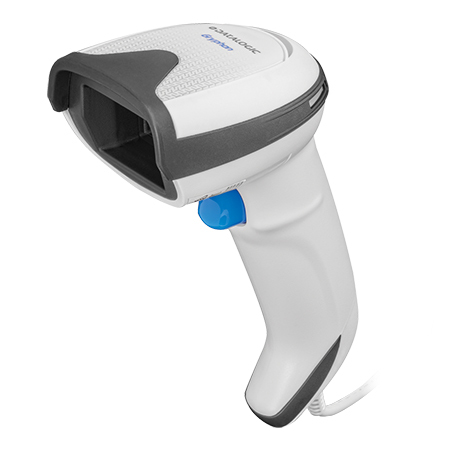 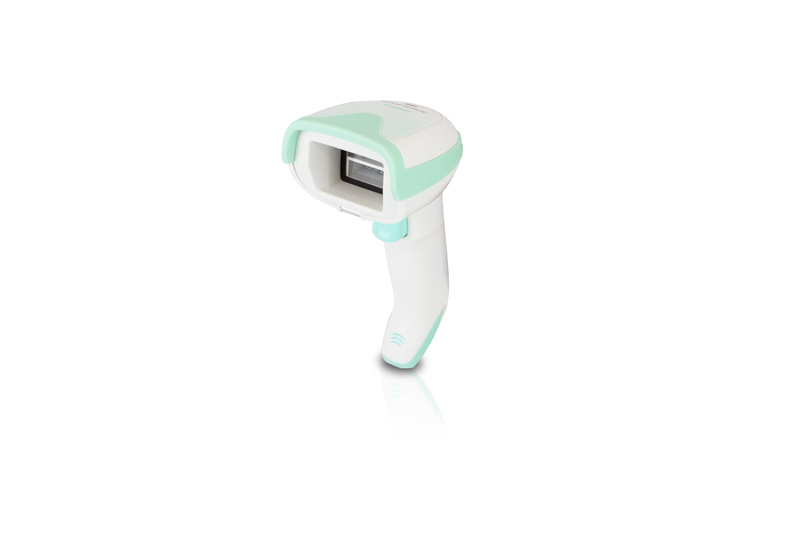 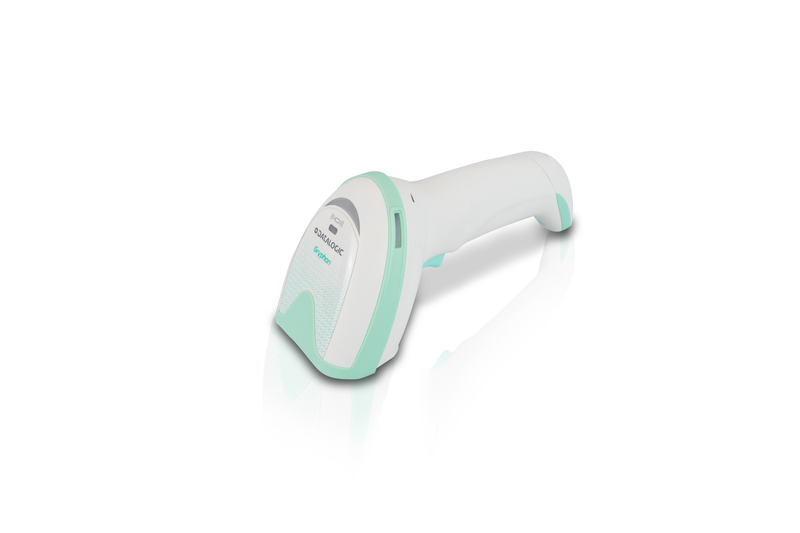 The Gryphon™ I 4500 2D series represents the premium range of hand held imagers from Datalogic for general purpose applications. 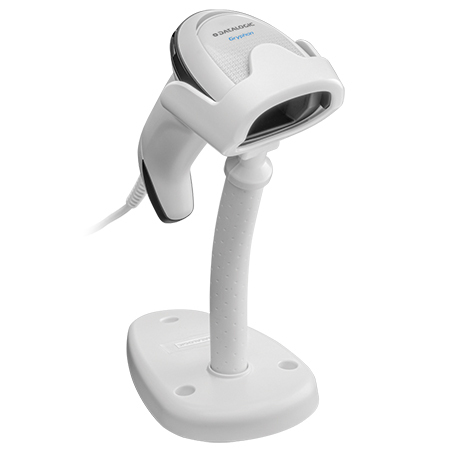 The GD4500 scanner is the desk (corded) version, available in the standard and with an All-in-One Permanent Base form factor. 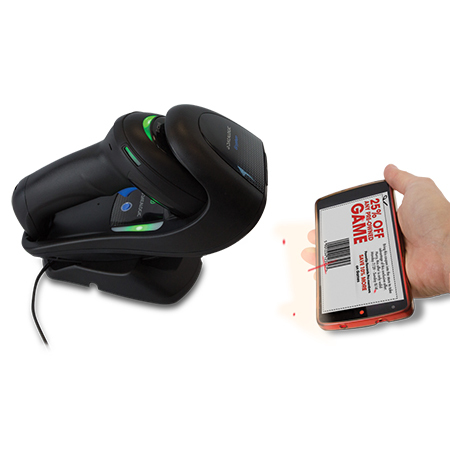 The 4500 Series introduces for the first time in the hand held sector an innovative and contactless 'wireless charging system' for the wireless models. 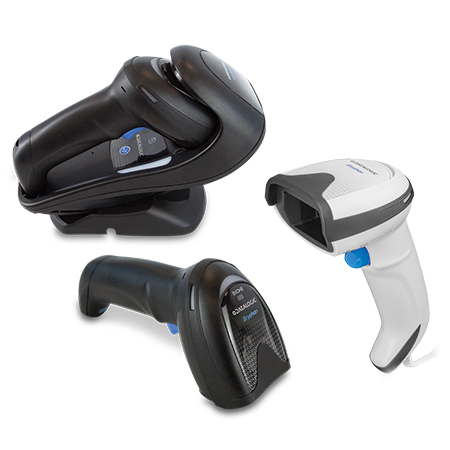 The GBT4500 model is the wireless version with Bluetooth® technology and the GM4500 model is the wireless version featuring Datalogic’s STAR Cordless System™ narrow band radio. 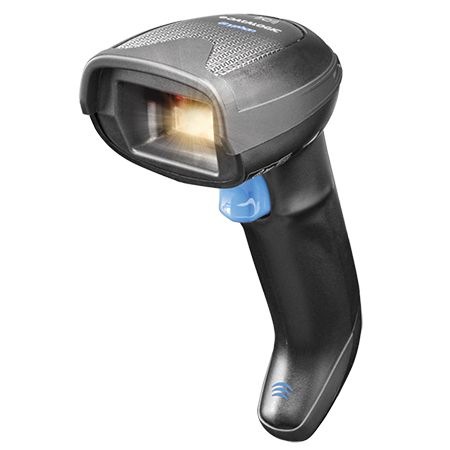 The Gryphon 4500 series stands out with an elegant and trendy design, user friendly ergonomics and features the most advanced megapixel sensor with warm-white-illumination 2D technology for outstanding performance. 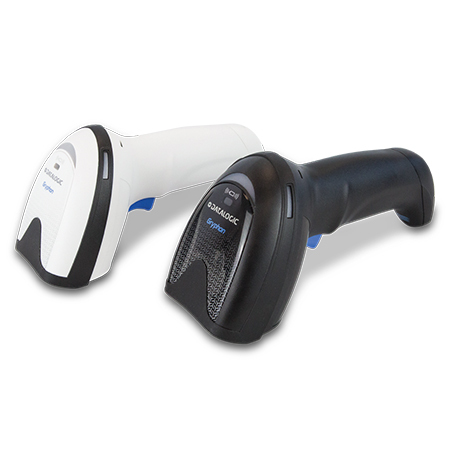 The Gryphon 4500 omnidirectional imager provides snappy reading performance on all common 1D and 2D codes. 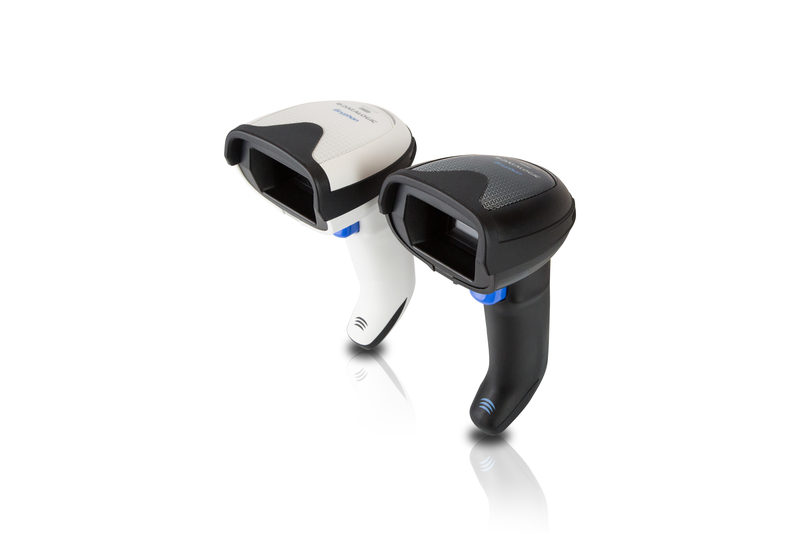 High Density (HD) models are available for reading smaller, condensed codes as well as Dot codes. 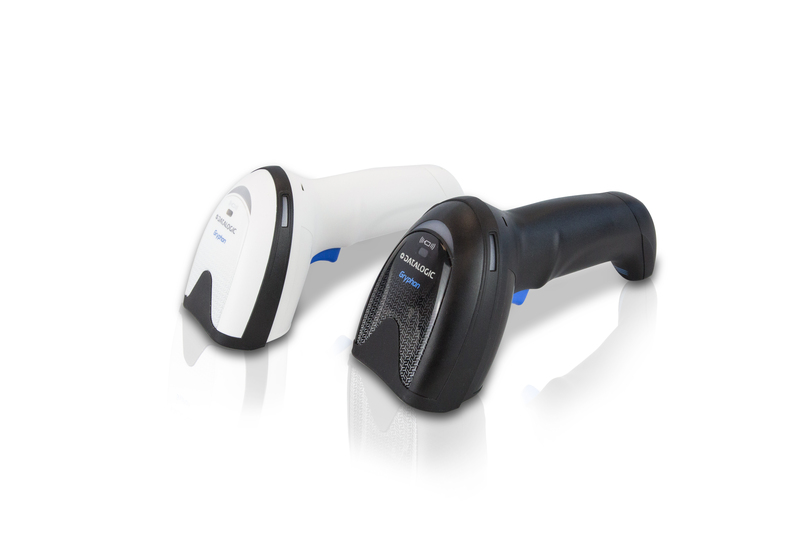 A dedicated version with red illumination optics supports also Digital Watermarking. 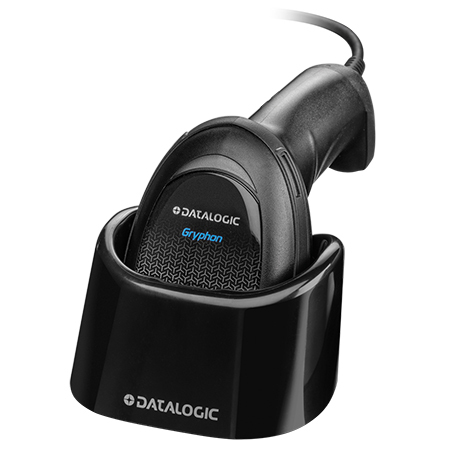 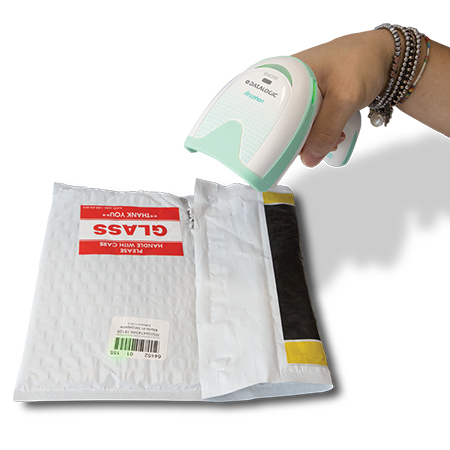 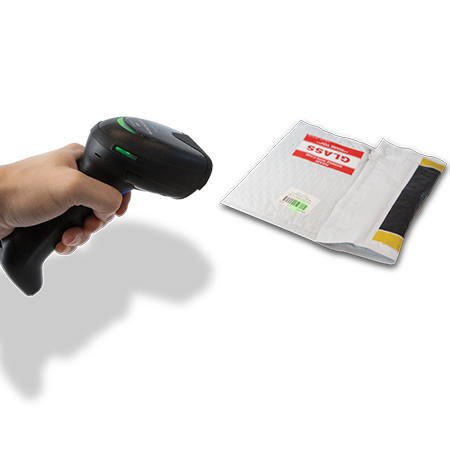 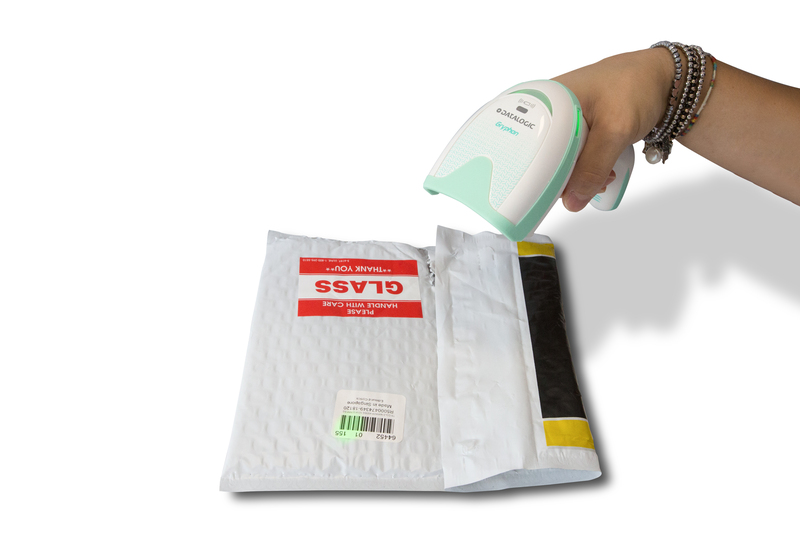 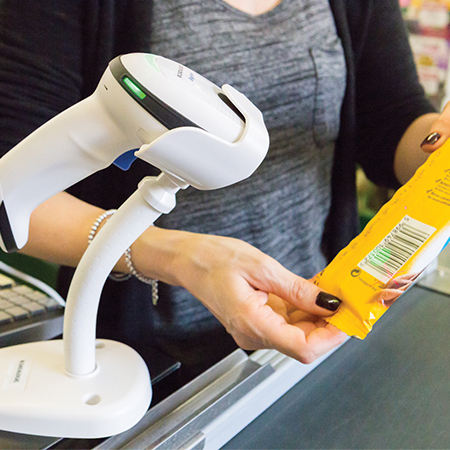 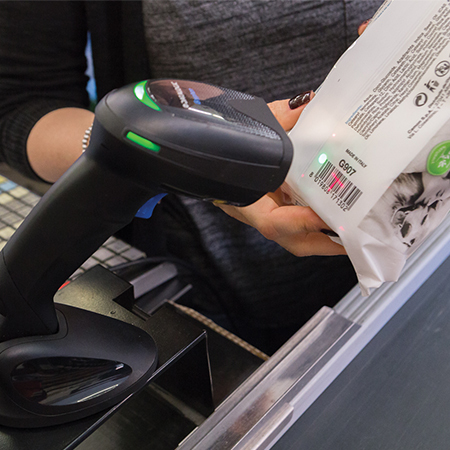 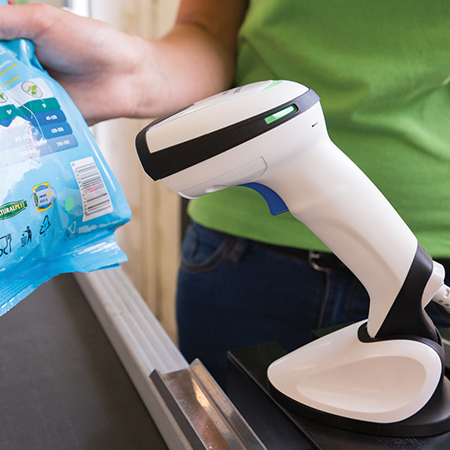 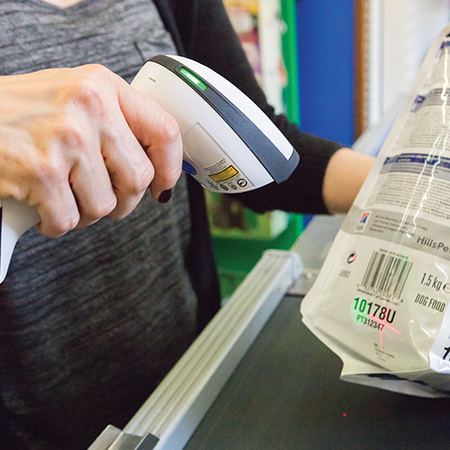 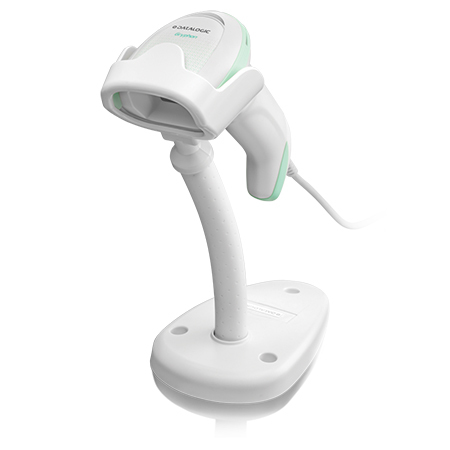 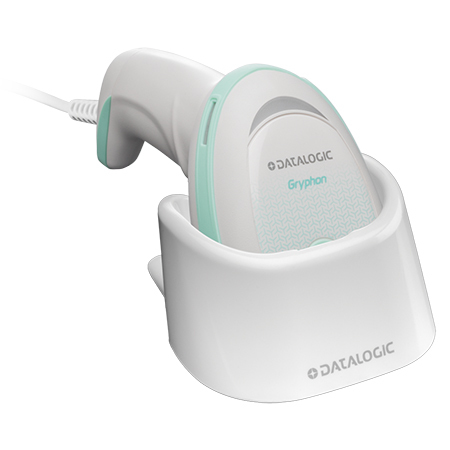 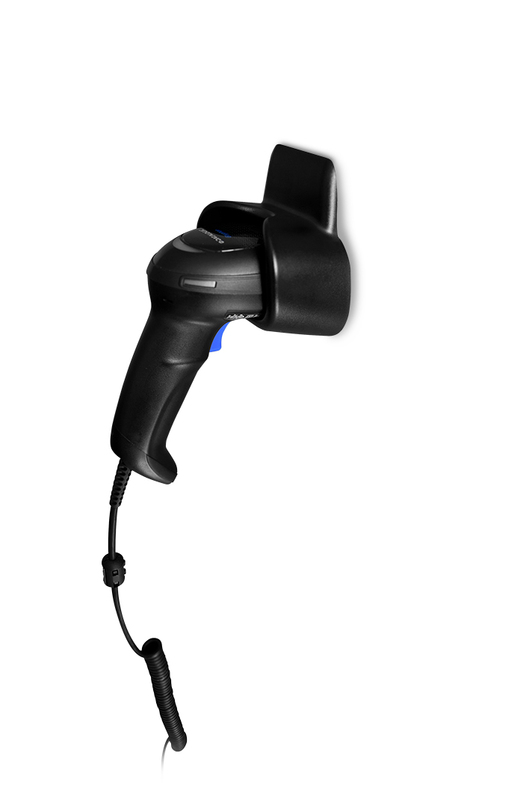 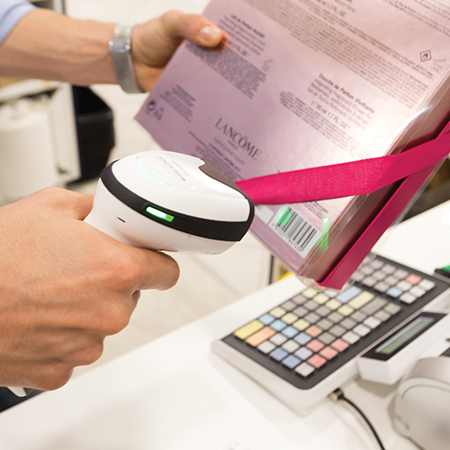 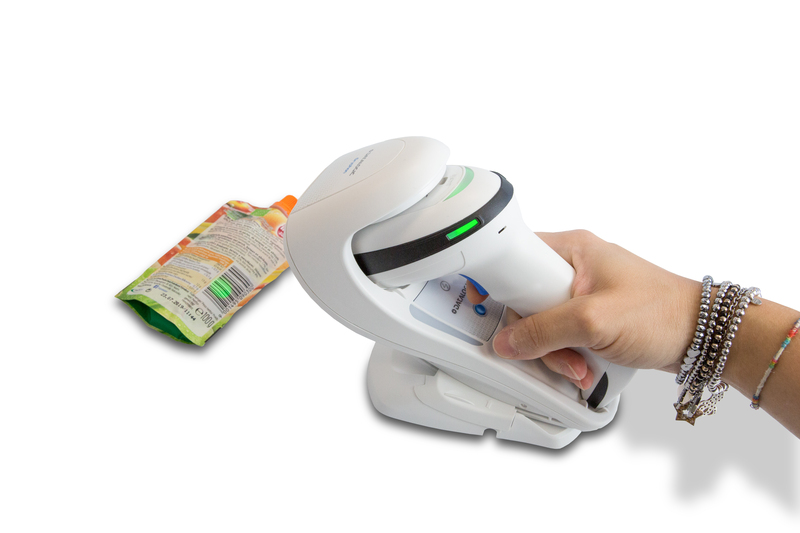 Datalogic’s Motionix™ motion-sensing technology enables the scanner to intuitively switch into ‘hand held’ mode when the device is picked up. 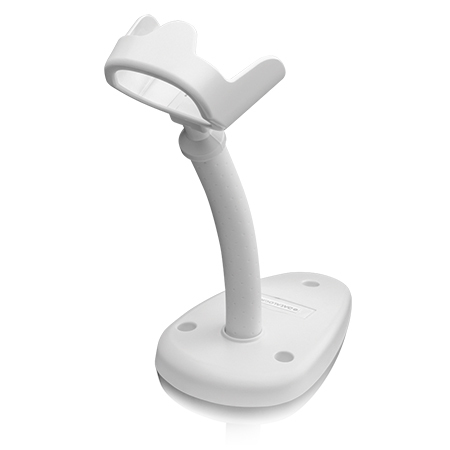 When placed back into the cradle, it seamlessly returns to ‘stand’ mode. 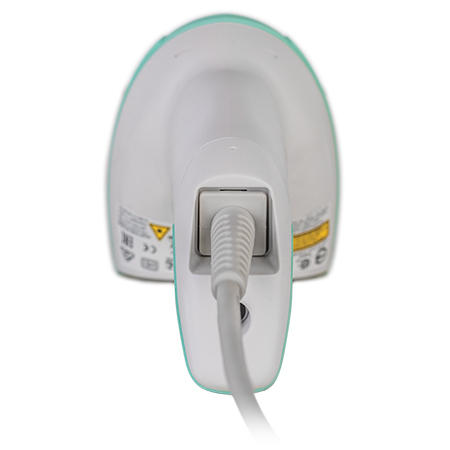 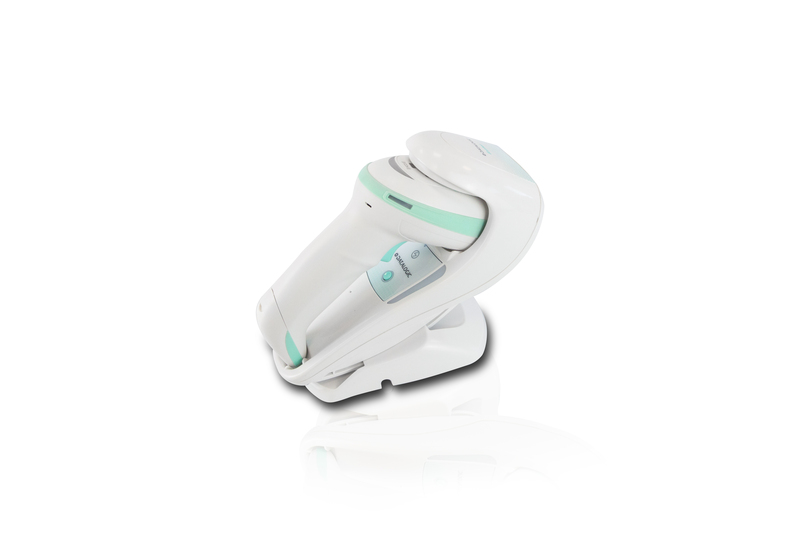 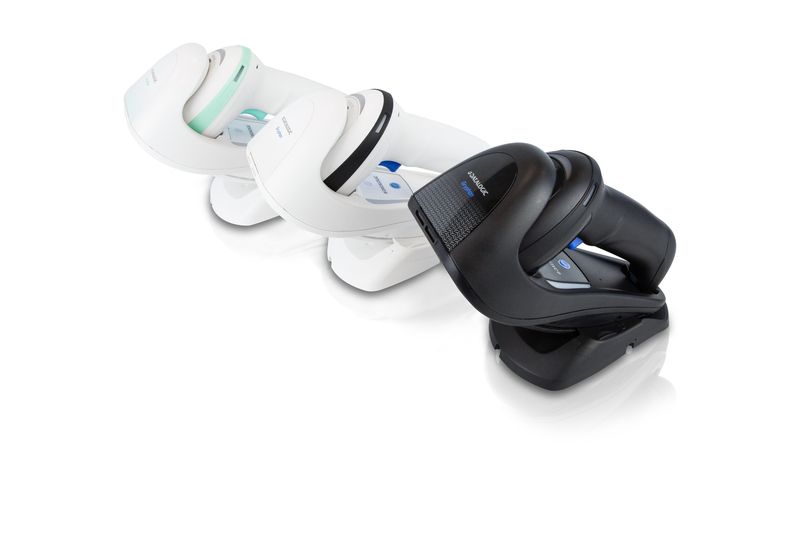 The adjustable position cradle provides the flexibility to use the scanner in presentation or stand mode while it is charging. 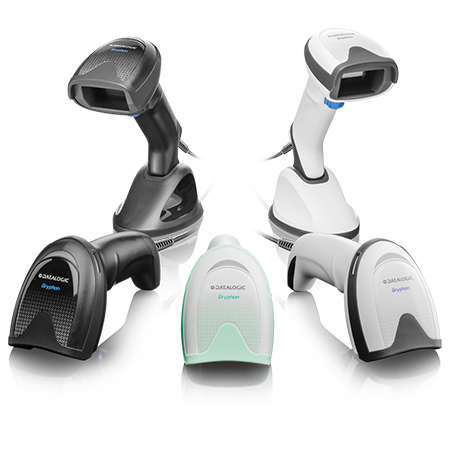 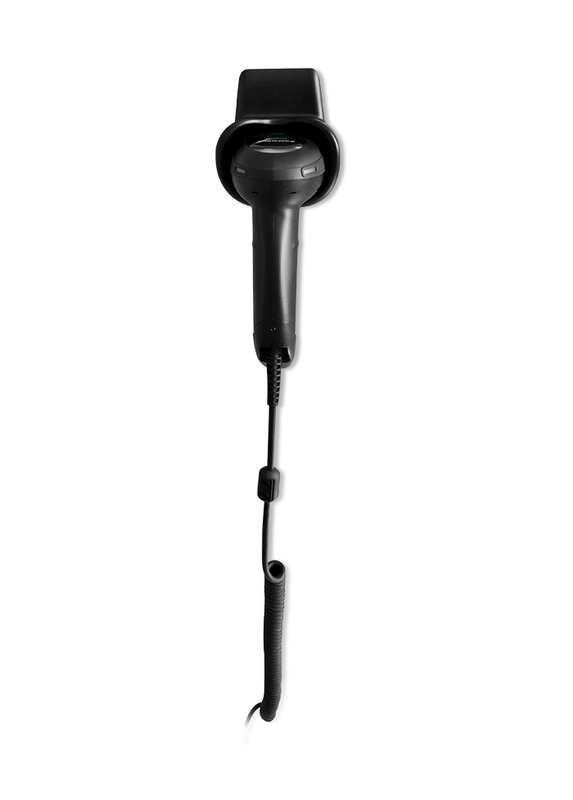 The wireless models feature Bluetooth wireless technology (GBT model) or narrow band radio communications with Datalogic’s STAR Cordless System (GM model). 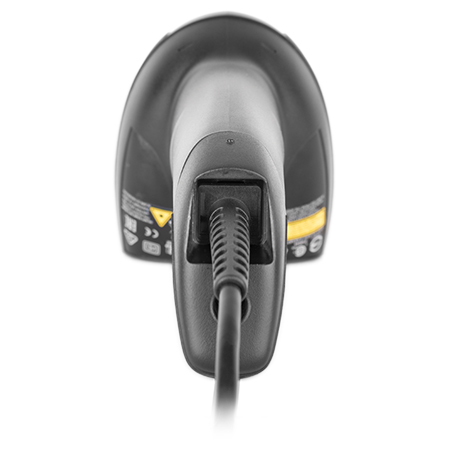 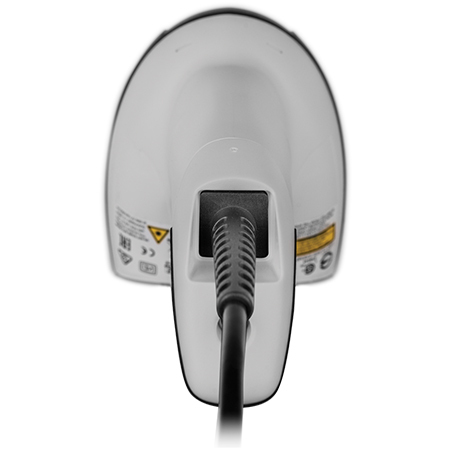 One of the most important technical innovations that the Gryphon 4500 wireless readers achieve is the wireless charging system for the battery, which enhances the reliability of the entire solution, while lowering the total cost of ownership (no need for contact cleaning or maintenance procedures). 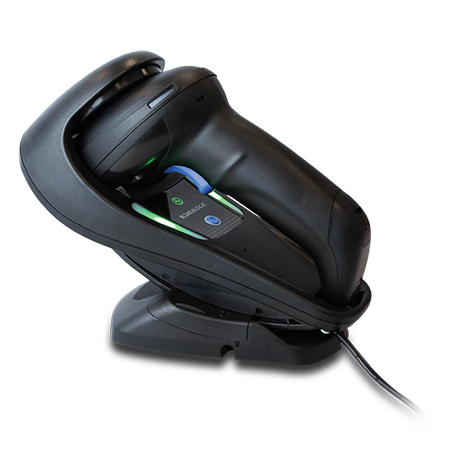 The maximum reliability offered by the Gryphon wireless charging technology means 24/7 activities with no stops for maintenance or repair and top-level operating productivity and performance. 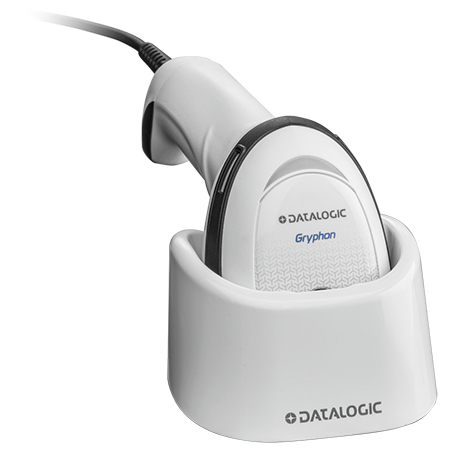 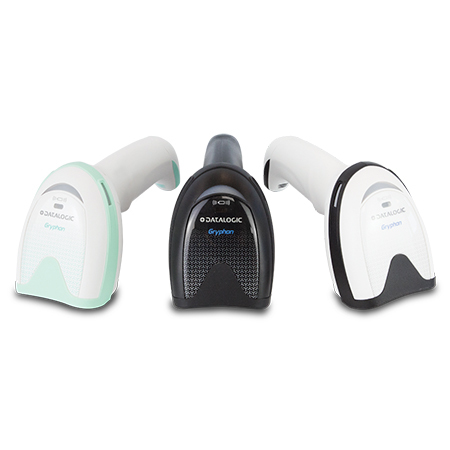 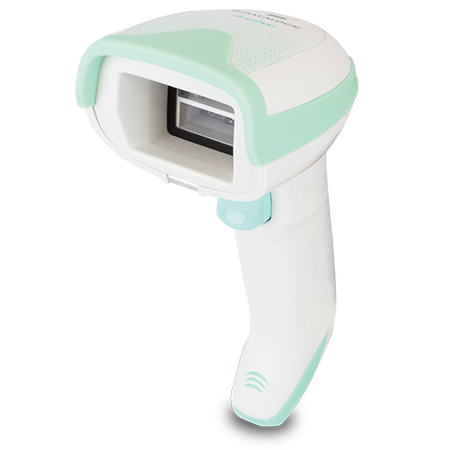 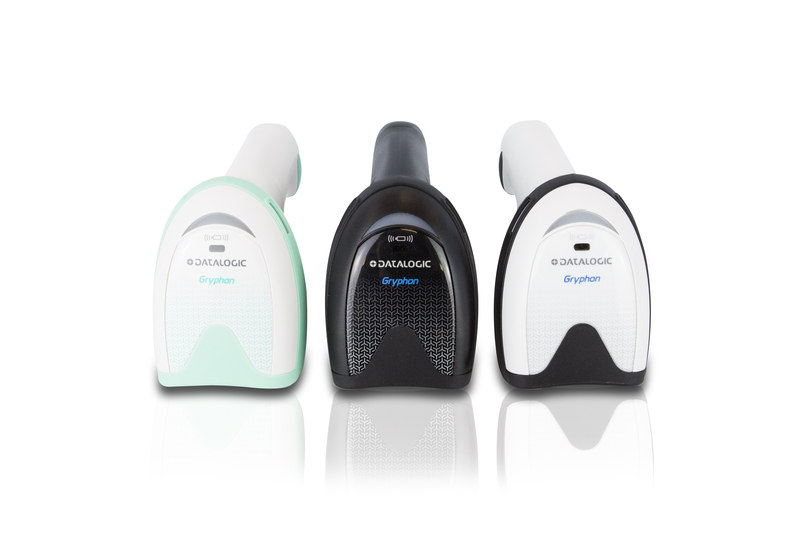 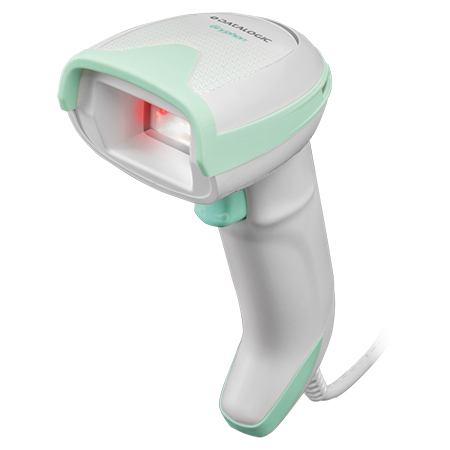 The Gryphon 4500 imagers are also available in Healthcare models featuring disinfectant-ready and anti-microbial enclosures for applications in the Healthcare industry.